In an exceptional melding of man and machine, Dan Tepfer uses the Yamaha Disklavier piano to bring together his world-class pianism with his background in physics and programming. As he improvises, the piano responds in real time with notes of its own, the keys of the keyboard depressing themselves as if by magic, guided by algorithms that he has programmed into his computer. Different pieces arise not from different choices of notes, but from different processes which naturally leave their own distinct sonic signature. 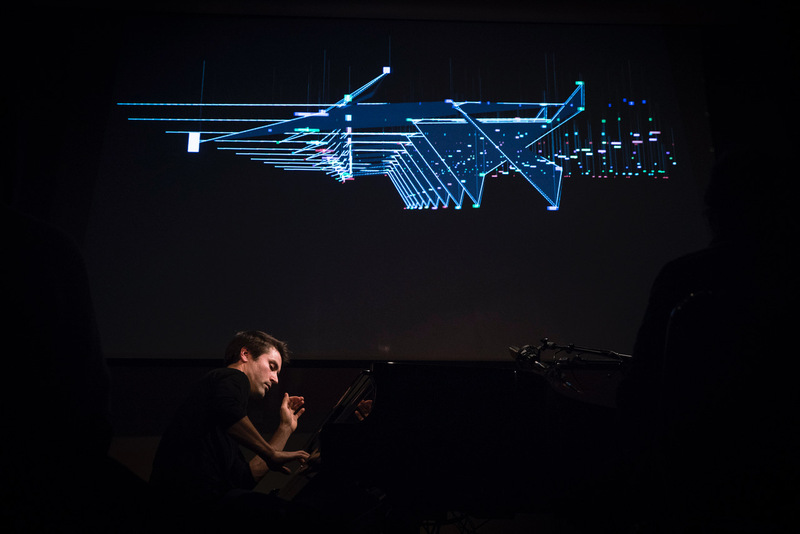 He has also created real-time visualizations that respond to the music as it’s being improvised, revealing its underlying structure. “I think of the best music as a delicate combination of the spiritual and the algorithmic”, says Tepfer. “Certainly that’s the case of Bach, whose music is a long-time inspiration for me: it’s at once heavily rule-based and emotionally transcendent”. With this project, the computer takes care of the algorithmic side, leaving the Paris-born, Brooklyn-based pianist-composer all the more free to focus on the human element. Although the only sound we hear is the sound of an acoustic concert-grand piano, “it’s like playing a fundamentally new instrument”, says Tepfer, whose previous solo exploration, Goldberg Variations / Variations, has received wide international acclaim.